← Fox: Does Free Shipping Come at a Cost ? 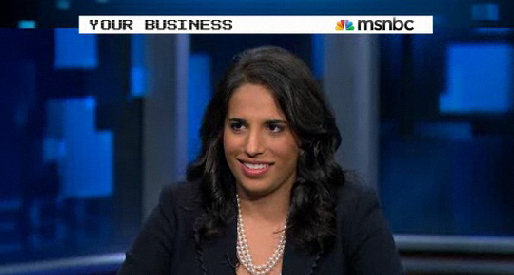 Monica Mehta speaks with JJ Ramberg of MSNBC Your Business about small business lending. With purse strings tight at most banks, getting into your lender’s head and preparing in advance can mean the difference between denial and approval. In the not so distant past, a FICO score of 700+ and a one-page application was enough to secure a $150,000 secured loan. Today, banks are still reeling from these loan. Credit scores, while useful, cannot take the place of comprehensive underwriting. More focus on qualitative reporting (payment history, public records data and other information) to determine the borrower’s character and basic default risk. Banks are looking for obvious red flags (previous bankruptcy filings, liens or judgments, skipped or missed student loan or child support payments). Your credit score comes into play when it is time to determine borrowing cost. Each personal credit agency has a slightly different take on calculating credit scores (sometimes called FICO, FICO II or Beacon); depending on the source, your score can vary up to 50 point. While it is hard to generalize a good or bad score, your cost of capital may increase if your score is below 700. Missed payments – Even one late or missed payment can impact your score and your borrowing cost. Be especially prompt with the payment of core bills including mortgage, car payments, student loans and child support payments. High credit utilization – Ideally, banks want you to be drawing only a small portion of the credit available to you. If you are regularly drawing 50% or more of available credit, it may be time to apply for new cards. High debt to income – Lenders will want to see this ratio well below 50%, when factoring in housing expense. Start by pulling your personal and business credit report with the major agencies three to six months before you anticipate applying for a loan. Take proactive steps to manage your business credit reports. You should be on the radar as soon as you establish your first credit relationship such as a credit card or terms with a vendor. Much of the coverage provided by the major business credit reporting agencies, relies on voluntary feedback from creditors. Encourage trade partners to report positive payment activity. Be realistic about the amount of credit you seek. Your financial projections should include debt service payments and your personal tax returns should validate that you have the resources to personally guarantee payments if things go awry. This entry was posted in MSNBC, Video and tagged JJ Ramberg, Monica Mehta, MSNBC Your Business, Small Business Loans. Bookmark the permalink. Well, this is very much interesting indeed. Would love to read a little more of this. Good post. Thanks for the heads-up.